All routes lead to Sea Island in these epic itineraries. 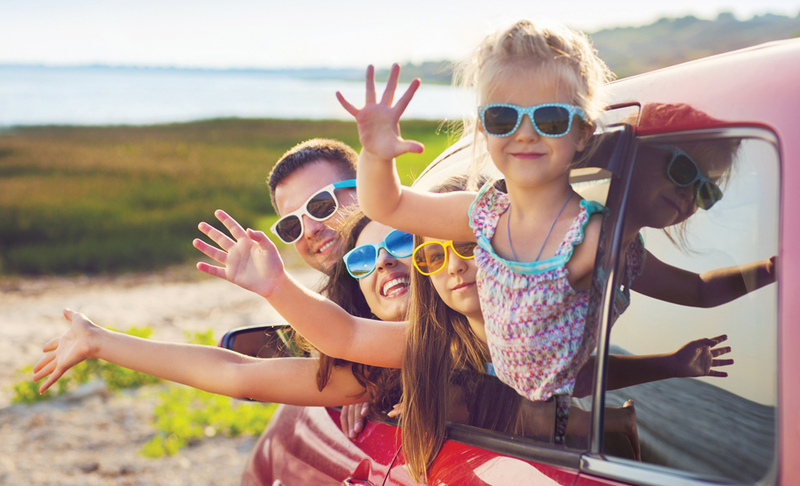 Nothing brings a family together like a good road trip. Traveling by car lets you have new experiences together, whether that means visiting landmarks, taking turns playing DJ in the car or indulging in snacks picked up from local eateries as you drive. Because family members are in close quarters, everyone has to interact, guaranteeing some quality bonding time. Some of the best road trip routes in the contiguous United States lead to Georgia’s Golden Isles, home to the Forbes Five-Star resort Sea Island. Taken individually, these drives are great ways to experience the South and offer a unique vacation you’ll remember forever. From New York, the drive to Sea Island can be anywhere from 800 to 1,200 miles long. The fastest route is I-95, which passes through Washington, D.C., as well as Richmond, Virginia, and Savannah, Georgia. For a more scenic route to Sea Island from New York, plot out a course that combines stretches of I-95 with smaller roads and follow U.S. 13 down the Delmarva Peninsula to experience the 20-mile-long Chesapeake Bay-Bridge Tunnel, an engineering feat. Also on the peninsula is the Assateague Island National Seashore. This gorgeous spot offers a nice reprieve from the car—you and your family can walk along the shoreline, or stop and explore the region’s many trails, which wind their way through marshland, dunes and pine forests. Along U.S. 13, you can also divert and take a long stop in Philadelphia, which was recently named a UNESCO World Heritage City thanks to its historical and cultural significance. Visit national icons like the Liberty Bell and Independence Hall in person. Kids will also enjoy Sesame Place, a Sesame Street theme park, and the Please Touch Museum, which encourages youngsters to touch the exhibits. For trips starting from Chicago, head south on I-65 to Indianapolis and Louisville, Kentucky. Then go east on I-64 to Lexington before connecting with I-75 to Knoxville and I-40 through Asheville, North Carolina, to the coast. But along the way, make sure to stop in Lexington and Asheville. Lexington plays host to several farms and ranches, and kids will relish the opportunity to tour the region’s horse farms. Several companies offer guided tours through horse country, including Thoroughbred Heritage Horse Farm Tours. With their help, you and the kids can learn about the history of Calumet Farm, which bred several winning horses. Horse Farm Tours Inc. boasts similar offerings centered around Lexington, with a visit to modern farms, as well as the homes of award-winning thoroughbreds California Chrome and American Pharaoh. In Asheville, make sure that the destination is your go-to for breakfast or lunch. 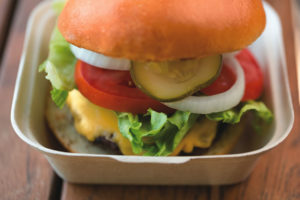 This foodie haven has a plethora of kid-friendly eateries like Sunny Point Cafe, as well as The Corner Kitchen and Chai Pani, where a James Beard-nominated chef whips up Indian classics. Meanwhile, for an experience related to the historic South, venture east to Charleston, South Carolina, and explore Fort Sumter, the site of two Civil War battles. No matter how you plot out the 900-mile-drive between Sea Island and the Dallas area, you’re in for a treat. If you want to stick to interstates, take I-45 south to Houston, then head east on I-10 until you hit I-95, when you begin to head north. Along this route you’ll drive through Lake Charles and Baton Rouge, Louisiana; Gulfport, Mississippi; and Pensacola and Tallahassee, Florida. 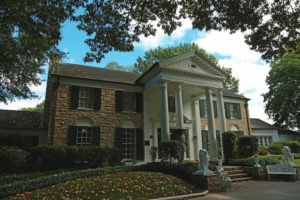 If you take I-30 you can stop in Memphis, where you can check out the National Civil Rights Museum at the Lorraine Motel; tour Graceland (Elvis Presley’s former home); and listen to live blues at the restaurants along Beale Street. For a slower drive, take I-20 east to U.S. 80, and marvel at civil rights history in Selma and Montgomery, Alabama, along the way. Montgomery is a great place to catch a Minor League Baseball team. The Montgomery Biscuits, the Class-AA affiliate of the Tampa Bay Rays, play in Riverwalk Stadium, with the support of their mascot, Big Mo. The drive to Sea Island from Atlanta is the shortest of these options, ringing in at a little over 300 miles. Because many Atlanta residents can do the drive in about four hours, it’s tempting to stick to the interstates (I-75 to I-16 to I-95) and keep the stops to a minimum. Yet for a slower and more relaxed journey, try any one of the smaller scenic road combinations that bring you from Georgia’s largest city to the picturesque coast. Some of the smaller cities worth exploring include Alma, which is known as the blueberry capital of Georgia and has a blueberry festival every June; Tifton, which is home to the Georgia Museum of Agriculture and Historic Village, a working museum that replicates a traditional farm community of the 1870s; and Waycross, where visitors can tour the 19th-century Obediah’s Okefenok, a beautiful pioneer homestead. Macon is also a great stop. It is home to the Tubman Museum, named for Underground Railroad hero Harriet Tubman, and is one of the largest museums dedicated to African-American art, history and culture, as well as the Ocmulgee National Monument, which has preserved traces of over 10 millennia of Southeastern Native American culture. For a sweet treat, make sure to add Claxton, Georgia, to your itinerary. The so-called “fruitcake capital of the world” is home to Claxton Bakery, which serves up classic fruitcakes. While you can’t actually tour the factory itself, you can stop by to pick up the perfect road trip snack. Alongside fruitcakes, you’ll find other various Southern snacks and specialties that’ll tide you over until you reach Sea Island. Take a break from your road trip and stay at Sea Island to enjoy these relaxing spots. touring the southeastern United States. One of the best spots at Sea Island to relax is during a supper overlooking the marsh at the River Bar at The Cloister. Or head over to the golf course for a few rounds to stretch your legs, or book a treatment at the spa to relieve any muscle aches from long hours spent in the car. If you’re traveling with young kids, consider kayaking into the marsh to look at seabirds, or enrolling the youngsters in Camp Cloister for a day of activities on their own. On the way out, the Snack Shack at the Beach Club is a good place to grab lunch before getting back on the road, while the Surf Shop sells all sorts of Sea Island-branded items that make great souvenirs.